SPRINGFIELD–State Representative David Allen Welter (R-Morris) was sworn in to serve in the historical 100thGeneral Assembly on Wednesday. 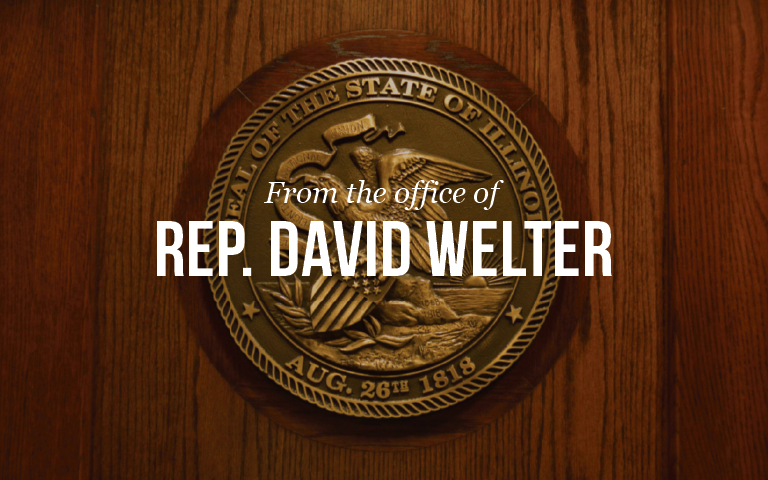 Welter was sworn in as State Representative of Illinois’ 75th District on July 15, 2016. Prior to his appointment to the Illinois General Assembly, Representative Welter served as Chairman of the Grundy County Board where he was first elected in 2010. The House of Representatives for the new 100th General Assembly is comprised of 67 Democrats and 51 Republicans. Representative Michael J. Madigan of Chicago was re-elected Speaker of the House for another two-year term. Representative Jim Durkin of Western Springs was re-elected Minority Leader.